This is a replacement weld in spindle for axles that run 6 Lug to 8 Lug Trailer Hubs and Drums. 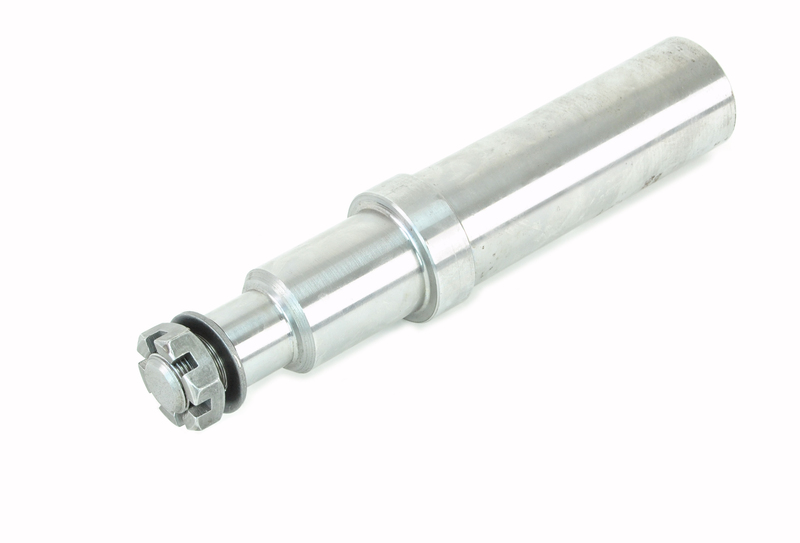 This is referred to as a #42 Trailer Spindle, which features a 1 1/4" Bearing Surface and a 1 3/4" Bearing Surface. You can see the product pictures for exact dimensions of this Spindle. This Spindle includes the Spindle Washer, Castle Nut, and cotter pin. Common Bearing Configuration for this Spindle would be 25580 ( 1 3/4" ) and 15123 (1 1/4") with a 2 1/4" Grease Seal Surface.